One sunny afternoon found me at Lupa, a spacious 5,000 plus square-foot restaurant in Central Hong Kong. 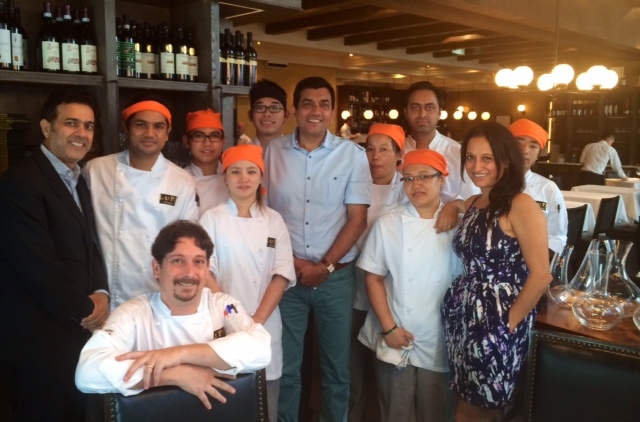 Lupa is owned by my old friend Sandeep Sekhri, so it’s a special lunch invitation from his wife Rosy and him. I look around at the rich interiors and am particularly attracted to the patio which has a green vertical garden and ambience that makes me want to spend a little more time in the place. The place impresses me with its buzzing energy and most people are having the buffet, which has everything from pizzas to pastas. I’m looking forward to the meal as I’ve heard a lot about the food. About their extensive Italian menu and I’m determined to make the most of it. Since I’m a special guest, I am served on the table, the select dishes, the signature specialities. 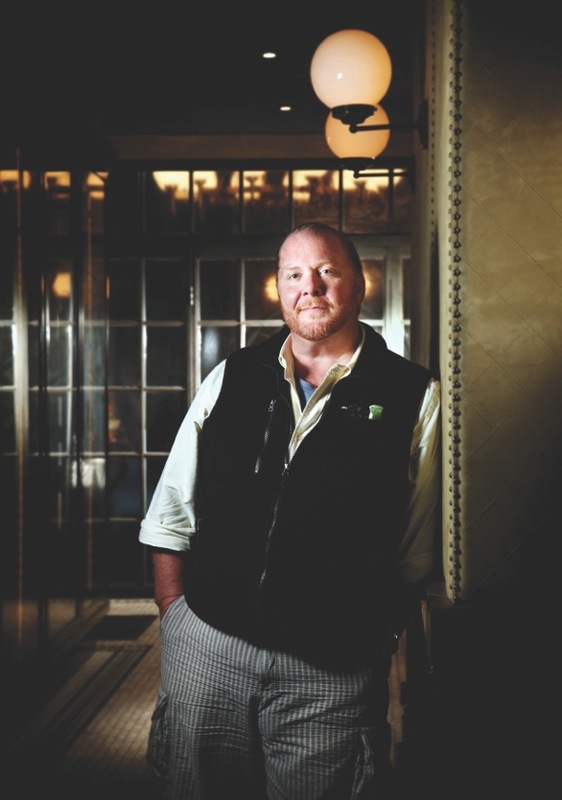 Lupa is by Chef Mario Batali and what interests me most about the meal is his concept of Italy in New York. Mario has an impressive portfolio of restaurants in New York, LA, Las Vegas and Singapore. I have dined at his Del Posto in New York, and needless to say the anticipation is high! For starters it was Caprese which is Italian buffalo mozzarella with cherry tomato and basil, followed by Burrata which was a delightful combination of creamy cow’s milk cheese with grilled vegetables. And then it’s a sinful Frittellediricotta, melt-in-the-mouth Ricotta fritters with mixed mushroom and black truffle. Last starter was the Carpaccio di Tonno, Bluefin tuna carpaccio with sun dried tomatoes, olive pesto and candy ginger for the sweet surprise touch, a personal favourite. The service is attentive and unobtrusive, and they are good at recommendations. I am told that the wine list of Lupa ranges from affordable to very premium and they serve wine by the carafes that are ideal for two on a date. Nice! If you are here for just wine with your beloved, you can pair it with some great cheeses and meat platters, or if like me you are here for a satiating lunch, what I’m eating comes highly recommended. It’s pasta time and here’s what I feasted on. Tonnarelli al granchio, square spaghetti with spicy crab and fennel, what a feast of flavours it is! Next is the Tortelli di burrata which is tortelli stuffed with burrata cheese, eggplant pesto, sun dried tomato and pine nuts. Can I eat any more? Not really, but the heart wants more! So it is Ravioli di ricotta e spinaci which as the name suggests is ricotta cheese and spinach, tomato sause and parmigiano and last but not the least is the Tagliatelle al porcini, tagliatelle (a type of flat Italian pasta) with porcini mushroom and taleggio sauce. By the time dessert arrives I am feeling rather full and happy, but then which Indian foregoes dessert? So it was a lovely platter of lychee mousse, chocolate semifreddo, pistachio macaroon, vanilla panna cotta with mango, passion fruit sorbet, wine chocolate and mint crème brulee. No I couldn’t finish all of them, nevertheless tasted all and my senses were doing a merry dance in dessert heaven! There are two types of sweeteners – nutritive and non-nutritive. Nutritive sweeteners provide calories or energy to the diet at about 4 calories per gram. Non-nutritive sweeteners, also called sugar substitutes or artificial sweeteners do not provide calories and will not influence blood sugar levels. An excellent sugar substitute is Sugar Free Natura which is Sucralose – a non-caloric sweetener made from sugar. It is derived from sugar (or Sucrose) through a multi-step patented manufacturing process that selectively substitutes three atoms of chlorine for three hydroxyl groups on the sugar molecule. This change produces a sweetener that has no calories, yet is 600 times sweeter than sucrose. It tastes like sugar and does not leave an unpleasant aftertaste. Since Sucralose is non-caloric it adds no calories to the foods and beverages it is added to. It is not broken down like Sucrose and therefore not utilised for energy in the body. It passes rapidly through the body virtually unchanged. Food items made with Sucralose however may contain calories from the other ingredients that are used to make them. It has been proved through research and clinical studies that Sucralose can be safely consumed by diabetics. It is not recognised by the body as sugar or even as a carbohydrate and is not metabolised by the body for energy. It does not affect blood glucose levels and does not have any effect on blood glucose utilisation, carbohydrate metabolism or insulin production. Over 110 safety studies have been done on Sucralose and also approved by US FDA. Scientific studies have also shown that Sucralose does not promote tooth decay since it does not support the growth of oral bacteria. It is freely soluble in water at both high and low temperatures and therefore can be used in most food products. It is also heat stable and ideal for cooking and baking without any loss in sweetness. It can be used for making a wide range of desserts and mithais besides being used as a tabletop sweetener like in tea, coffee, lassi and yes can also be used in the making of ice creams. The specialty of Sucralose is that you can add it during cooking and heating doesn’t affect the taste or leaves an after taste in the mouth. It has come like a boon to the cooking and baking aficionados. But yes it does not perform certain actions that sugar does. It lacks the browning, tenderizing and moisture retaining properties provided by table sugar. Also it cannot be caramelised or used to make candies. Certain modifications need to be incorporated while using Sucralose. Like when the recipe calls for beating ingredients like butter, sugar and eggs together you will need to beat the ingredients a bit longer to incorporate enough air into the mixture. Baking will not brown as well as when made with sugar. Therefore, addition of cocoa or other dark ingredients may be necessary to get the browning effect. Also ingredients like buttermilk may be needed for moisture retention. Baked goods will get done faster so one will need to check for doneness a bit earlier than the time that a recipe with sugar calls for. Furthermore, these foods will last longer if stored in a refrigerator. One little word of caution though. All sugar free sweets and desserts need not necessarily be completely free of all sugar. It actually depends on the ingredients of the sweet preparation. If it has fruits and dry fruits, they have natural sugars. In case you do pick up any food item with the label ‘no sugar’ or ‘low sugar’ or ‘reduced sugar,’ remember that they all contain carbohydrates. I recently got an interesting tweet from Matt Preston, the famous chef from Master Chef Australia, about India and its glorious cuisine. Now I’ve been pretty vocal about my love for Indian cuisine and wanting to make it numero uno in the world, which is what lead Matt to ask me about my top five reasons to love Indian cuisine after he tweeted about his. There are a million reasons for me to love Indian cuisine and limiting my answer to only ‘five’ sounded a little difficult! However, I did manage to zero-down to my top five reasons to love Indian food. ‘V’ for versatile: For a very simple reason, that in India, at every 50 kilometer, the language and food changes and how! This vastness and diversity attracts me the most. Spicy story: Being an Indian and growing up on this food, I can vouch for the fact that almost every Indian dish has atleast 10-15 spices and herbs, at times contrasting flavours and tastes as well. 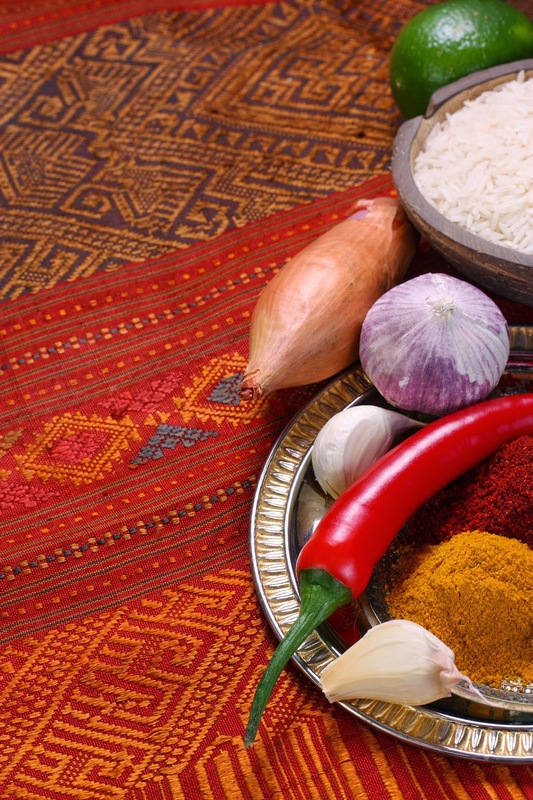 Rich history: Indian cuisine has evolved over the years with foreign influences like Persian, Portuguese, Moghul, Chinese, British and more which creates variety like no other. 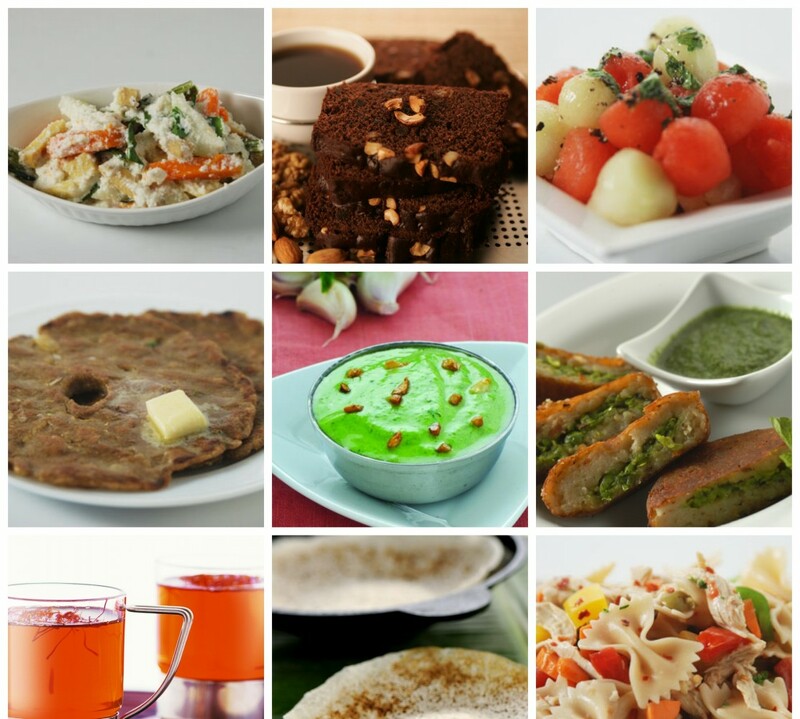 Vegetarian variety: The sheer variety of vegetarian food available in India is mind- boggling, it is not possible to taste all the vegetarian delicacies available in India in one lifetime! Well kept secrets: Foodies should definitely look-out for the lesser publicized coastal seafood repertoire from the Western, Southern and Eastern parts of the Indian subcontinent. I highly recommend it! Adding to the above, I would also say that after travelling all over the world, my verdict is Indian food is the most balanced meal. Even by default, it covers all nutritional parameters required by the body. And when I’m talking about my favourite cuisine, how can I not share the plethora of desi recipes that are liked by me. Click onto http://www.sanjeevkapoor.com and you shall enter the world of many such recipes. For the video fanatics, clicking onto ‘sanjeevkapoorkhazana’ on YouTube would just about do the same thing! Absolutely Indian and proud of it! Every morning I walk into office to be greeted by the most beautiful and unusual tree right outside my window. The leaves are bright green and large, like a million leaves I have seen before, but the flowers! Oh! The flowers are something else! Like soft pincushion balls. The buds like tennis balls. I can’t help marvel at the beauty of nature every time I see this tree. To find out more I googled it and here’s what came up. Turns out the tree is the Kadamb. Botanical name being Anthocephalus Cadamba. It is usually planted around temples. Why? Because according to Hindu mythology it is a favourite of Lord Krishna. He used to play the flute under this tree and play with the cowherds. Another name for the tree is Haripriya, a favourite of the gods! 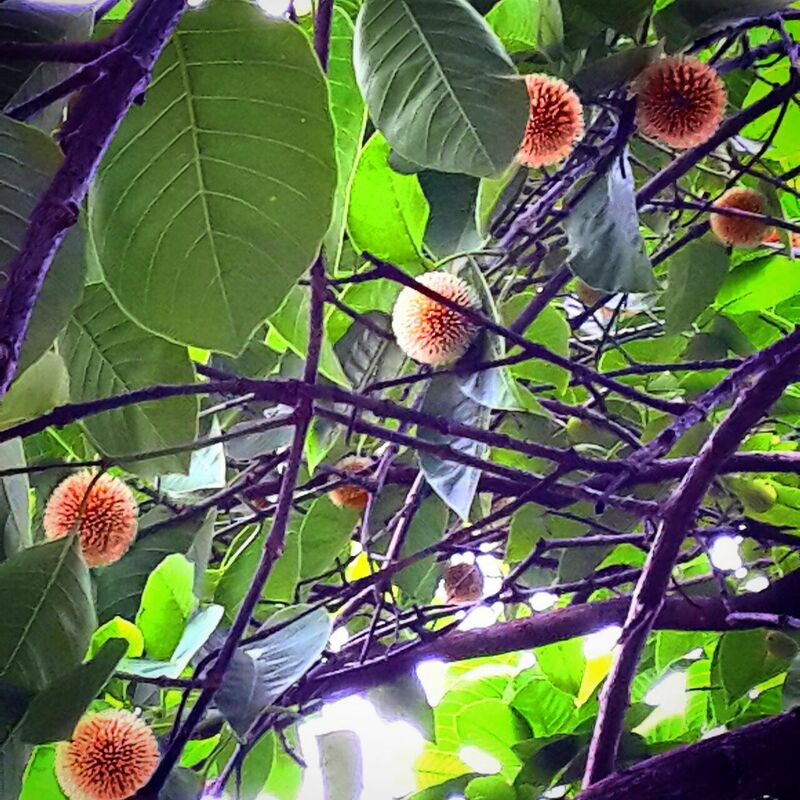 The Kadamb tree has religious value not only in India, but also in Java and Malaysia. It is said that Goddess Durga lives in a Kadamb forest. The flowers are a favourite with bees too, you see them flocking around the flower, one day I happened to smell it and was pleasantly surprised with the fragrance. Talking about fragrance, one more fact came up on research. Kadamb flowers are used in the making of attar and this lovely tree has medicinal properties too and is a cure for many ailments. Beauty with purpose! Another interesting fact that came to light was that the tree is used for soil reclamation. The large amount of leaves and other components it sheds enhances the physical and chemical properties of the soil. Just when I was wondering if with all the uses it was edible and whether I could think up some recipes with it, I got to know that the leaves are sometimes used as plates. That’s the closest it comes to the food area. It is believed in some parts of India that planting a Kadamb close to rivers and ponds brings happiness and prosperity. I offer a silent thank you to the person who planted it outside my window, may the gods bring him happiness too!